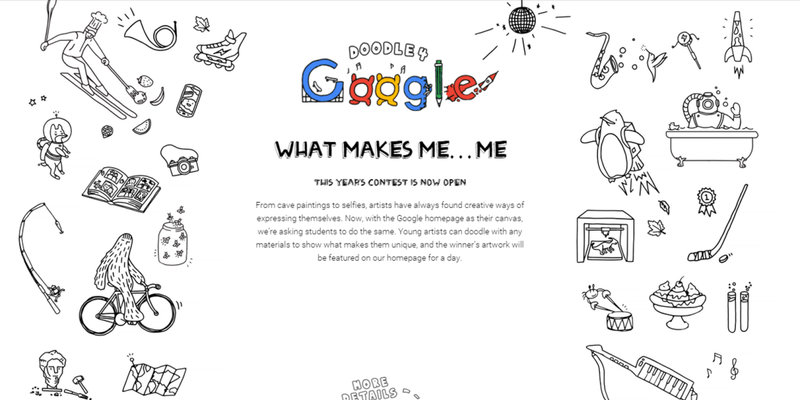 Google is opening up its Doodle 4 Google 2015 competition today that will see the winning student’s creation given pride of place on Google’s home page for one day. This year, it seems that Google wanted to mix things up a bit – it’s the eighth year, so keeping things fresh is a good idea – by allowing entrants to use whatever medium they want to create their Doodles. Pretty much the only rule is that it must use the letters in the word Google. So, if you want a chance of having your Doodle (or your child’s) displayed proudly on Google’s homepage, you should probably think about what you want to cook, build, cut, spin, paint or mold to make your doodle out of any material you’d like. One national winner also gets a $30,000 college scholarship. The closing date for entries is December 7.